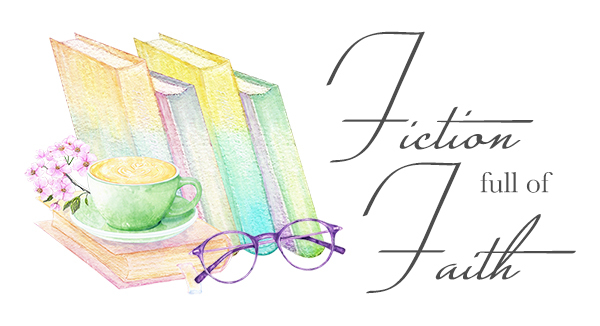 Coffee with Elaine Stock ~*PLUS*~ a paperback Giveaway! Today I am excited to have Elaine Stock with us for coffee and a chance to get to know her better! PM: I see you are a New York native! I am from NJ and love NY, my father is from Greenwood Lake, and he never stopped loving the area! My favorite part is actually the Catskills, I spent many a summer day up there! What is your favorite part of the area you live in? Paula, heartfelt thanks and much appreciation for hosting me on your lovely blog. May your mission of sharing Christian Fiction with readers continue to be blessed. Yes, I was born in Brooklyn, NY and lived with my family there until I was fifteen when we moved to the then half rural-half suburb area a little north of the city (it’s now massively suburb, nearly city status in population). Small world!! I lived not far from Greenwood Lake and have visited that area often, having had friends who lived there. As I write this reply I look out my window and see snow everywhere, and ice on the cars. Yet, as much as I daydream and long for 70 degree weather and sunshine year-round, it would be difficult for me to shake loose of my NY origins. There’s something wonderful about the Hudson River that always calls to me. While I’m not too fond of big city living anymore, I do love the more rural areal where I live now. I enjoy the back dirt roads with canopied tree-shade and thick woods. I marvel at the hills and lakes, and of the grassy meadows where cows, horses, and sheep graze. But, permit me to burst a myth: Country life is not quiet. LOL—well, at least not where I live. PM: That all sounds so beautiful to me, wish I could join you! Thank you for your kind words, I hope to be a blessing for many with this little blog! Have you always known you had the writing bug (and ability)? As a child I was greatly influenced by my mother who glorified books and reading (and dabbled in poetry) and my aunt who loved to entertain my brother and I with oral stories. I remember creating my own story-worlds without thinking much more about it, however as far back as 3rd grade I did win a writing contest of some sort (the sweet honor remains in my mind, but not the details). Throughout high school and in my young 20s I wrote for the pleasure of it, but it wasn’t until I was 26, when my mother died from ovarian cancer, did I take my writing more seriously. She was a creative soul whose mental illness limited her abilities to express herself. PM: I have read Her Good Girl, and found myself quite intrigued at the depth of where you were able to take the storyline. What surprises did you find while researching this? First is the scope of mental illness in a family (please note: since I associated above the term “mental illness” with my mother I’d like to emphasize that the problems she suffered from were not Munchausen by Proxy Disorder; Her Good Girl is not autobiographical). To fully understand MBP one must see that this disorder extends way beyond the giver and the recipient and peer into the blinded eyes of the other family members and perhaps friends. And, for that matter, anyone in the medical or social services area that don’t recognize what’s happening. Yet, to be fair, this disorder is extremely sneaky. It has an everything-is-fine persona on the outside to present to the public, but behind closed doors it’s a whole different story. There’s also the surprise of how strong the desire to cling to normalcy in the face of denial can be for a family member. Second is the subject of underground caving. Wow! Understatement. I researched heavily caving techniques and watched hours of caving videos (and had a spelunker check the manuscript). How these people can go into the darkness of this below ground earth is still beyond my ability to comprehend fully. It is not for the meek and timid, for sure. Last, I have to admit, I surprised myself with the degree I assimilated into each of the characters. While I wrote this story, I’d slipped out of myself, away from upstate NY, and was transported to West Virginia with Sadie and her family. PM: Wow – that is a lot of information you gathered! I admit, I kind of got carried away with the characters journey as well! If we were to open your refrigerator right now, what would we find in it? What a fun and unique question! With desserts now reserved for only weekends, one would find lots of fresh veggies like kale, carrots, and Brussels sprouts, salad fixings, fruit, and because as of 1.5 years ago I’ve become lactose intolerant, Lactaid milk. Also, because I often fix both breakfast and dinner in the morning due to my day job (I work until 8 p.m. and eat dinner there) and my husband’s uh…let’s say…limited cooking style, one would find his homemade meal in the fridge waiting for him. Interestingly, I’d majored in psychology and sociology in college but have no regrets that I didn’t make this into a profession. In all things connected to writing and marketing, what I’ve really come to love is graphic arts. If not disciplined I could easily spend too many hours playing with designs and fonts, so perhaps I would have gone into opening a business to design for other authors/businesses. Perhaps I would have taken up an old childhood pastime of designing house interiors on graph paper (call me weird, if you’d like!) and become an architect. Who knows! Quoting Popeye: I yam what I yam. If you meant which authors greatly influenced me, I’d say Jodi Picoult, Joy Fielding, Harlan Coben, and yes, I admit, the earlier writings of Danielle Steele. As for sticking out the much-too-long process of writing, editing, and honing craft and patience, without hesitation I thank God for His love of me whether or not I would ever publish a book. Well, I don’t know whether it’s shocking or not, but I am daily challenged by my social awkwardness. I am a true introvert who lives on Planet Earth, a place where it’s not so much of survival of the fittest but survival of the brave to move one foot in front of the other and face the world despite daydreaming of running home and slamming the door shut to the outside. Again, I beseech my loving Father to help me because without Him, I’d never get out of bed and venture beyond my front door. Definitely coffee, preferably with Lactaid Milk or black, and no sugar. I’ve been a proud coffee drinker since my grandmother introduced me to the heavenly beverage when I was eight…and no, it hadn’t stunted my growth—LOL. 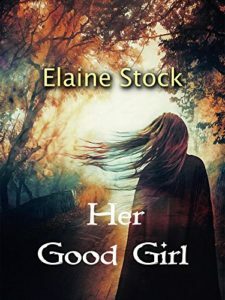 Elaine Stock is dedicated to uplifting and encouraging all readers through the power of story to see hope during both the bright and dark times of life. 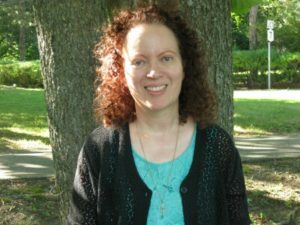 She is the author of several award winning novels, notably Her Good Girl, which was graced with the Outstanding Christian/Religious Fiction in the 2018 IAN Book of the Year Awards, 2018 Readers’ Favorite Silver Medal in Christian Fiction and the 2018 American Fiction Awards in the Christian Inspirational category. Elaine is a member of American Christian Fiction Writers, Romance Writers of America, and Women’s Fiction Writers Association. For fun and occasional eyebrow lifts of amazement, she hangs out on Twitter and Facebook, and of course, Goodreads. Elaine Stock is being so kind as to offer one of our wonderful USA BASED readers a free paperback of Her Good Girl! Simply comment on this post and tell us one item we could find in YOUR refridgerator! Contest will be open for one week from today and winner will be notified via email! Previous Coffee with Lynnette Bonner PLUS a Giveaway!! Next Coffee with Lisa Prysock and TWO Giveaways!! Paula, heartfelt appreciation for once again sharing me with your lovely viewers. I treasure your support and friendship!! I’m excited to offer Her Good Girl as a BookGiveaway and hope Sadie’s story will bless the winner’s heart with hope of a better tomorrow. I am the blessed one for your openness and generosity, Elaine, so THANK YOU! This sounds like a good read I have always been fascinated by MBP what goes on in the mind of someone who suffers with it. I love the cover. You can always find mayonnaise and pickles in my fridge. Thanks for the chance. Oh yes, to both pickles and mayo! Thank you for sharing. This book is truly a beautiful look into a serious issue! Paula, wow! Thank you!! “This book is truly a beautiful look into a serious issue!” May I use this in promotion? Elaine, of course you can, I am honored! Hi, T. Thanks for your visit today. MBP is a fascinating disorder because of its camouflage appearance and how it impacts not only the victim, but family and other loved ones. I hope you’ll have a chance to read Her Good Girl. And please help yourself to my free novella from my website. One thing you can always find in my refrigerator is milk. I drink it, cook with it and I keep plenty for my two grandbabies. They are 1 & 2 years old. Thank you for the chance at a great giveaway! Aww, how sweet, Dorothy! Milk is hard to find in my fridge, we only get it if I need for a recipe! Dorothy, I thank you for your interest in my novel! I enjoy coffee but I need creamer!! You would find some French Vanilla creamer in my fridge. Bev, you are definitely a girl after my own heart, lol, coffee creamer is a MUST in my fridge too! Her Good Girl sounds like an interesting read since I’m unfamiliar with MBP. We have leftover roast in our refrigerator. It is a powerful story, Sherri! I love leftovers, they make the best lunches! i hope you’ll get a chance to read this story. Thanks for your visit. There are always a half dozen jars of pickles and olives in my fridge, the weirder the better!! I can’t wait to read this book–it sounds great! LOL, Amanda – what is weird about pickles and olives? I love them! Amanda, although you and I enjoy different food preferences (I used to adore pickles as a kid, but as an adult not anymore), I’m so glad we’re both book lovers! I hope you’ll get a chance to read Her Good Girl. Always find pickles..my grandkids love them and I’d cannot live without coffee creamer! Yay for pickles and coffee cream, Louetta! I love my readers, lol, we have the same tastes! Louetta–what a pretty name! I appreciate your visit today. Hi, Burma! Welcome – this is the right place for coffee creamer, lol! So glad to meet you! I also have fruits & carrots on my frig. Would love to read your book! Nothing like seasonal fruit! Thank you so much for sharing, Jana, pleasure to meet you! Jana, there’s nothing more wonderful than fresh fruit and veggies, especially carrots (if you’re a fan of fresh Brussel sprouts like I am, try sautéing them with sliced carrots in olive oil–mmm). I hope you’ll get to read Her Good Girl, it’s truly a story from my heart. Greek yogurt and fruit reside in my refrigerator. Thanks for the chance to win! Thank you for sharing, Lisa! I love Greek yogurt! Sigh…do I ever miss Greek yogurt…wish I could tolerate it because the “pretend” yogurts just aren’t the same. Thanks for your visit, Lisa. I do not believe I have ever had pepper jelly, but what an awesome teach you are! Thank you for sharing! Jeanne, I’ve heard/seen pepper Jelly but wouldn’t know how to use it. Is it very peppery? I hope you also get a chance to share you love of a good book with your students. Hello, Stella! I completely agree with you on that, eggs always make a great meal! Thank you so much for visiting with us today! I agree, Stella. Eggs are the greatest–such a great comfort food too. Always 2% milk. Your book sounds fascinating. Thanks for the chance. I’m originally from NJ -Morris County. Moved to IL 14 years ago and miss going “down the shore” and the hills. Nancy! I am from Wayne, NJ – oh how I miss the Shore! So nice to meet you, I hope to see more of you here and get to know you. Thank you for sharing. Thanks for visiting and sharing, Nancy. May you always enjoy a great book! Strawberry Yogurt is always in my frig. Thanks for the chance to win. Good choice, Sandy! I love yogurt too! Looking forward to reading.. thanks for the chance I always have an assortment of cheeses in my fridge! Nice to meet you, Becky. Hope you have a fave beverage to go along with your reading. I must have my coffee in the morning, then downtime later in the day is usually accompanied by decaf tea…though these past months I’ve been writing, writing and writing without much free time. Yay, Teresa, another yogurt fan! Appreciate your spending time with us today! And double yay, Teresa, for wanting to read Her Good Girl!! It is a great book, Becky! Thank you for sharing! Thanks for your enthusiasm over my novel. Hope you’ll have a chance to read Sadie’s story, Becky. Love the cover and sounds like a great read I Love my coffee and their is always French Vanilla Creamer in my fridge! Yum, Sarah! I appreciate you visiting with us today! Hi, Sarah. I was soooo excited about the cover for Her Good Girl–it’s a scene right out of the story. Hope you’ll get a chance to check it out and see where in the story matches the cover. I love my morning coffee and I use Heavy whipping cream that Is in my refrigerator door. Bacon and a cheese assortment are always in there too. Hi, Sally! We would definitely get along, lol! Thank you for sharing! There’s something quite heavenly about coffee first thing in the morning 🙂 Thanks for visiting, Sally. You can always find eggs and ketchup in my refrigerator. I almost always have some sort of cheese too. Thank You! You are a ‘new to me’ author. I look forward to reading this book! Welcome, Judi! So nice to meet you. Blueberries are one of my favorite fruits to mix with yogurt, mmmm. Thank you for sharing! Judi, a big hello! Thanks for your excitement over Her Good Girl. Back in my yogurt-eating days I’d top vanilla yogurt with fresh fruit then granola to make a nutritional parfait. Love that you settle down with your shakes to read. Fruit, vegetables, yogurt. Thanks for the opportunity to enter an exciting giveaway! Looks like a great book. Would love to win a print copy! Hi, Lual! So good to hear from you. Hope you get the chance to read this story! Wow–you and Paula are night owls! Thanks for wanting to read Her Good Girl. Drop me a message (via my Contact Page on my website) with your thoughts on Sadie’s story, I’d love to know what you think. I love the journey this writer took. Our roads cultivate our spirits. Sound like a worthy read. Thank you, Nancy, for sharing. I agree with you completely! Hi, Nancy. It took a while, but I’ve come to stop asking God why He has me on this particular road in life. He surely knows best! Paula, I wonder whether you’d like to share the link with your viewers to your wonderful review of Her Good Girl? Thank you Paula! As always, a good article. I loved the question and answers. Well thought out and fun to read the answers. On the note about mental illness, I think it has been misunderstood over the years. Some people think crazy, which in reality it’s a chemical imbalance. It’s not an easy thing to cope with and especially when family members want to sweep it under the rug and pretend it’s not real. But what the person with the illness really needs is love and support. There are so many people now who suffers from various forms, but most are treatable with medication and diet. You are so correct, Kathy, and it is a subject too often swept under the rug. Thank you for your insight, as always. Hi, Kathy. Would I ever enjoy sitting down with you over a cup of coffee or tea and chatting! I appreciate what you’ve said about mental illness, those who suffer, and the reaction of others. Just from talking to people, it seems like 1 out of 2 are coping with deep emotional upsets. You’re so right–the mind is part of the body and gets imbalanced–jumbled–just like any other part of the body. We’re fortunate enough that presently there are much better meds around than a mere decade or two ago, yet so sad that those who can benefit from these medications either won’t take them or cannot afford them. We as a collective society need to watch out for others. Hmm. I’ll get off my soapbox now. Thanks Kathy for your visit and brilliant words. Thanks too for wanting to read my novels!! I hope you–and every viewer here–snatches my Free Novella to enjoy. I always have milk, bread, and cheese. That way when our grandsons come over which they do alot since we live on the same property, they can have cereal or grilled cheese sandwiches. I don’t know anything about MBP but wonder uf it happens more than we know. Thank you for sharing. The book sounds amazing and I would love to read it. Mmm, hmm…love grilled cheese! Thank you for sharing, Lorel! Hi, Lorel. The research I did on MBP was eye-opening, for sure. Sadly, there have been a few horrific cases of this disorder in the news the past few years…it indeed happens…and more than we are aware of. You may appreciate the Author’s Note and the Reading Group Guide that I have put in the back of the novel. I recently watched a true story about a mom who had MBP and what she did to her daughter. It was truly a sad one with a very sad ending. it is sad, Lorel, a very real issue. Her Good Girl sounds awesome! Thanks for chatting with us! An item you can always find in my fridge is yogurt! I love yogurt!! Hi, Paty! So good to hear from you! Thanks for sharing, I love yogurt too, the Greek kind! I hope you’ll get a chance to read Her Good Girl. Good evening, Crystal. The way I see things, basic is necessary. You have protein and vegetables–such good nourishment for the body…and I’m sure accompanied by your love for the soul. There is nothing wrong with basic, Crystal…always good to have balance! Thank you for sharing! You can always find iced tea in my fridge. i live on it all year round. Ah, yes, Vivian, sweet tea is essential here as well! Appreciate you visiting with us! Hi, Vivian!! So nice to see you again (I’d enjoyed your visits on my former blog, Everyone’s Story, which after nearly 8 years I had to put aside in order to write more). I love learning about new authors!! This was a great blog about Elaine, liked all her answers to your questions! Jean, welcome to Fiction Full of Faith! I am so glad you enjoyed reading our coffee chat. Milk is a great staple to have on hand! Hi, Jean. Thanks so much for visiting. I’m glad you enjoyed the interview. I thought Paula did a fabulous job! Hello Paula and Elaine! One thing that you’re sure to find in my refrigerator is chocolate. It just taste better cold! Nice to see you here, Caryl 🙂 Mmm, cold chocolate…maybe that’s why I like it in my Lactaid Cookies and Cream ice cream! Yes to chocolate, cold, hot, room temperature…anyway we can get it, lol! Thank you for sharing with us today, Caryl! In my refrigerator is my opened maxwell house coffee, ready to use at a moments notice. You can never have too much, good coffee! Good morning, Vicki! Coffee is a staple in my house as well, thank you for dropping by today! Wonderful to meet you! Waving hello, Vicki. Thanks for visiting, says me who just put up a 2nd pot job coffee for hubby & me. Elaine sounds like an interesting lady, and this sounds like an interesting book. Very different topic! My fridge is a bit empty at the moment, but my husband is addicted to coffee and you will always find flavored creamer in there. Hi, Patty. If you appreciate stories that zing your heart on several levels, you may enjoy Her Good Girl. I hope you’ll give it a try. Let me know what you think–I’d love to hear from you. Ha! Yes, Patty, we always have creamer too… coffee addicts that we are! Thank you for sharing with us Elaine. This story line intrigues me. You will always find yogurt in my fridge. I never even liked yogurt but found out I did after my cancer surgery. I needed soft foods and it was great. Maryann, thanks for your visit and interest in Her Good Girl. Just lifted you in prayer for blessings in health and joy. Milk! We were dairy farmers for over 30 years so milk was always available and now, our five year old granddaughter is with us so we continue to always have milk. Got Milk? Yes, we do! Connie, so nice to see you again!! I’m thrilled for your visit. Coffee and (Lactaid) milk, you can’t go wrong! Bless you, Connie for being a supplier of our milk! Right now my fridge does have a few gn veggies, salad fixings, and fruit, since I just came from the store a little bit ago:) Thanks for the opportunity to enter a giveaway. Would enjoy winning a print book! Always a pleasure to hear from you, Lual! Great to meet you, Elaine!! Thank you, Paula!! One item you’d find in my fridge is WATER!! I can’t drink water if it isn’t cold, and I’ll add ice to it, too!! Hi, Trudy! Always great to hear from you and yes to cold water! I’m thankful for your visit, Trudy. Nice to meet you too! Funny, I have trouble drinking water if it is cold–it’s much better for me at room temperature. I want to say thank you to EVERYONE who participated in this giveaway! Our winner is Teresa Padgett! You should be hearing from Elaine soon to get your new print book! Please continue to visit Fiction Full of Faith for more giveaways in the future! Heartfelt *big* thanks, Paula, for hosting me on Coffee With Paula Marie, and for introducing me to your lovely (and so many!!) viewers. It’s been an awesome experience for me. Congratulations, Teresa! I’ll be in touch with you shortly. I appreciate you and your participation, Elaine! Looking forward to your next story!